What to bring? A mat and a willingness to soar higher and burn brighter! Namaste. Slow down with this quiet Yin practice which aims to improve overall flexibility and increase circulation by targeting the deeper connective tissue. Poses are held for 3-5 minutes with little muscular engagement and are supported by props. Yin Yoga is a perfect complement to stronger, more dynamic (yang) styles of yoga and other exercise. Relax into deep stretches in this meditative yoga practice. 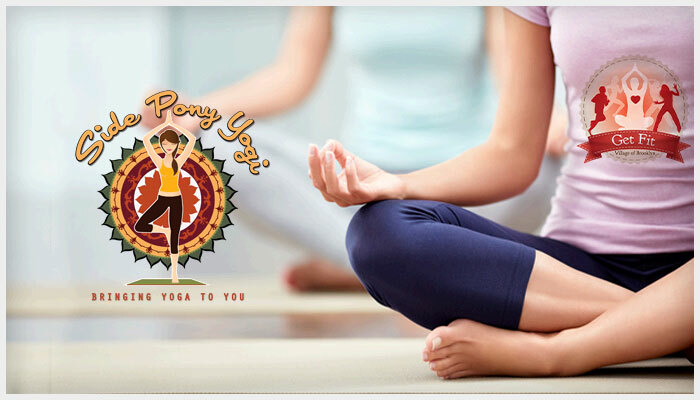 Flow Yoga, also called Vinyasa Yoga, is an energizing class that improves strength, flexibility and cardiovascular health. The poses are coordinated with the breath and linked with a sun salutation sequence (vinyasa) to build strength, endurance and mental focus. Feel free to practice at your own pace; work thoroughly, sweat, rest, and breathe. Leave feeling energized and centered. The perfect harmony between movement and stillness. Class begins with Vinyasa (Flow) Yoga providing the practitioner with an asana series emphasizing the relationship between breath and movement. In the second half of class, Yin Yoga, where asanas are done seated or lieing on the mat with long, passive holds to release the tensions held within the dense connective tissues of the body. This class leaves you feeling relaxed, restored and ready for the week ahead. Each yoga workshop has a different theme. Themes vary widely from focus on backbends, inversions or arm balances, to yoga and meditation, to yoga and chocolate. Watch Facebook for the month’s topic. You are welcome to submit suggestions as well. If in a given month a 5th Monday occurs, Our instructor will pick and surprise you in delight of the type of Yoga class will be offered. Yoga Body Bootcamp ™ (Class held 2nd & 4th Saturdays) is the revolutionary new yoga-fitness hybrid created by Deborah Williamson. Music jamming yoga, core, balance, strength, cardio and a ton of FUN in a circuit style workout. Classes are easy to follow and exhilarating – Biggest Loser and Survivor adrenaline mixed with the inner stillness of yoga. Designed for both men and women of all ages and fitness levels as the bootcamp stations can be modified or amplified to meet the needs of beginners to seasoned athletes. Expect to get lean, build muscle, and burn fat all while feeling better about yourself. Explore a whole new brain chemistry and boost your energy in this 45 minute workout.